I'm quite excited about this. 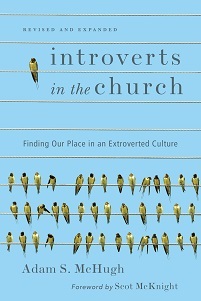 A couple of months ago Donna Katagi at Cerritos Baptist Church asked for an advance copy of my book, because she wanted to preach a sermon series on introverts and extroverts in the church. She realized that there are a lot of introverts in her community when they showed a movie a while back and gave people opportunities to process immediately afterwards in small groups and also in an ongoing class. Even though people were moved by the film, very few people processed in those small groups and no one signed up for the class! 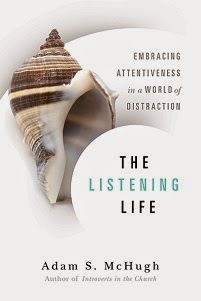 So in this sermon, she describes introversion in great detail - using this book called Introverts in the Church (I've heard it's awesome) and discusses the implications for the community and individuals within the community. The first sermon she preached is now up on their website and I've posted a direct link below to the MP3 file (left-clicking will open it directly, right-clicking will enable you to save it to your computer and play it on your audio player).